Looking for a copy of the Oddest Title of the Year? 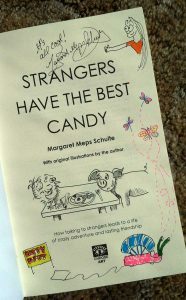 Strangers Have the Best Candy is available in hardcover, softcover, or ebook. 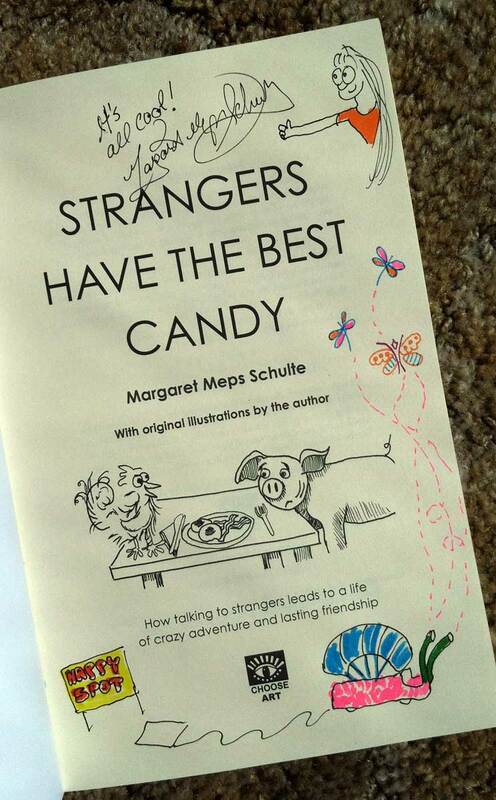 An autographed and doodled copy makes an excellent gift! Autographed and doodled by the author. Only $15 plus shipping. 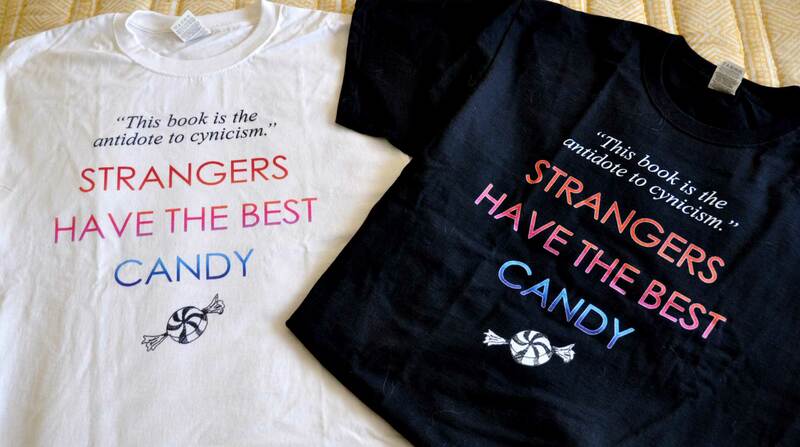 Is your book club reading Strangers Have the Best Candy? Contact Meps for special pricing! St. Marys, GA: The Blue Goose on Osborne. Designed by Margaret Meps Schulte, these 2-1/4 inch pin-back buttons are guaranteed conversation-starters. Available on Square Marketplace. Original Strangers Have the Best Candy t-shirts are available on CafePress.